Well, glad we did not get the severe weather they were predicting for yesterday where I live. Got some small hail but that was it. 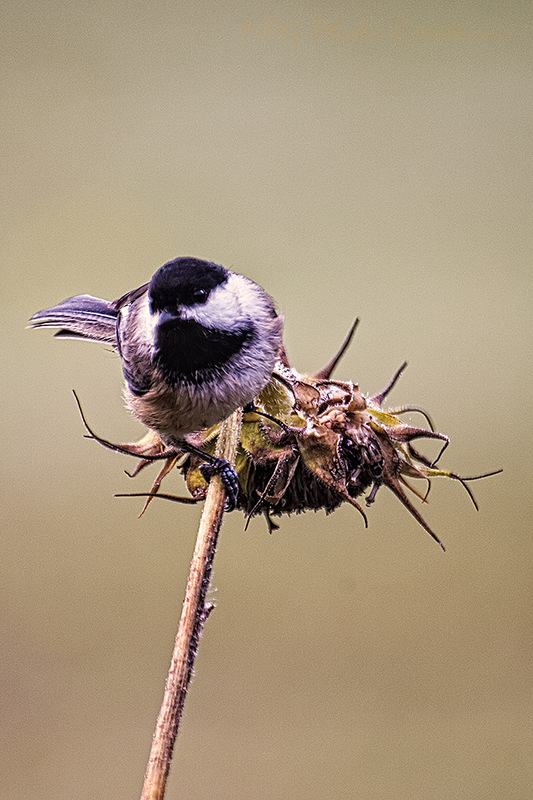 My image for today is of a Black Capped Chickadee I captured enjoying the Sunflowers I had planted in front of the deck. Now that they have bloomed and are drying out the birds are getting the benefit of them. I liked the way it was looking when I snapped the shot. Not sure if it could see me or not as I was inside the house.